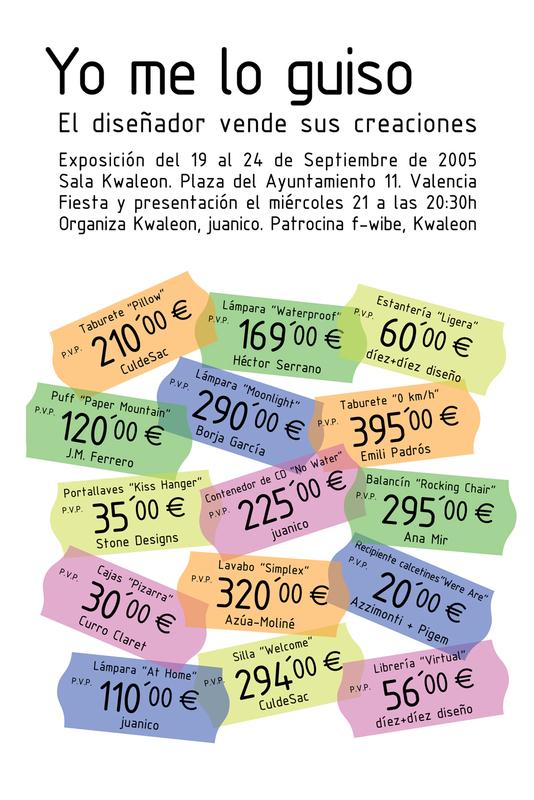 An exhibition with a group of spanish designers. The theme of the exhibition was to highlight the designer total work, involved in the whole process from idea, development, realization, and sometimes even selling their own product models. Design, concept, organization and curator.